We are delighted to invite you to join us at an exclusive dinner event at Palo Santo Restaurant in Park Slope, Brooklyn for the Center for Popular Democracy and Make the Road New York. Dinner guests will join small group strategic conversations on key aspects of CPD and MRNY’s city, state and national-level strategy. Each conversation will feature a special guest and senior staff from CPD and MRNY who will help lead a discussion about the issues that matter most to you as we imagine together how to build a world where we all have the freedom to thrive. Event Co-Hosts will help to design and curate these conversations and be asked to invite 3 to 5 friends to join them. At the start and end of the evening we will hear framing comments and report-outs from these critical discussions. 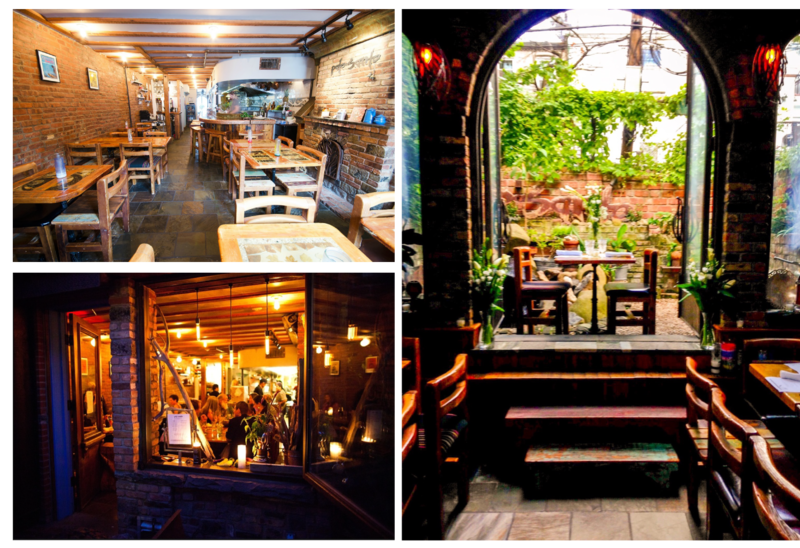 Palo Santo is a Park Slope neighborhood favorite, serving up fresh, seasonal, locally-sourced dishes with deep roots in the markets of Latin America. Chef Jacques Gautier and his staff will serve a three-course chef’s tasting menu and drinks for all our guests. The Center for Popular Democracy is fighting for a world in which everyone has the freedom to thrive. That means good schools and quality healthcare, equal opportunity, a healthy planet, a resilient and just economy, and a robust and responsive democracy that works for all of us. Make The Road New York builds the power of immigrant and working class communities to achieve dignity and justice. Working with a powerful block of organizations, as well as with our national partner, The Center for Popular Democracy, we support communities of color across the nation to build resistance with us.